Extensive health issues led Brigitte M. Britton, CHN (Certified Holistic Nutritionist) and The MEGA Way founder, to research and to try many alternative health products and remedies. What she discovered was that they were full of preservatives, artificial sweeteners and very little, if any, nutritional value (and they did not digest well nor were they being properly absorbed in the body). They were simply a quick fix instead of the long term health benefits she was looking for herself and her clients. Thus, MEGA Way protein shakes were born. This experience inspired her to extensively search for and test the best of the best certified organic power food and raw ingredients globally. After years of testing and formulating she has successfully been able to integrate their benefits into a super, plant based power meal replacement , hence the birth of MEGA Way VEGAN Protein Shakes. Her business working partner Adam Schmidt has been instrumental in assisting with these developments and is an integral part of The MEGA Way as is Charlotte Barron, CFO, Lois Benson and Teuvo Orjala our internet marketing partners and webmaster. Our mission and business philosophy is to empower, support and assist all who cross our path and to only offer and create raw, certified organic, non GMO, Soy free, Gluten Free power food products that will invigorate, and help rebuild people’s body systems. MEGA Way VEGAN Protein Shakes assist in balancing the 10 Body Systems which are as follows: The digestive, intestinal, circulatory, respiratory, urinary, glandular, nervous, structural, immune and emotional/mental body systems. MEGA Way VEGAN Protein Shakes are revolutionary because of the amount of each ingredient used in the complete body system complex blend. They are raw, have not gone under any heating processes keeping 95% of the nutritional value in each ingredient. Each ingredient is high in enzymes making it easy for the body to absorb and digest. With 24g of raw VEGAN protein, 17g of fiber and anti-oxidant rich. Our proprietary blend is about 5 times higher in grams than most shakes therefore very potent with almost immediate “Vibrant Health” results being reported to us by our clients including the maintaining of overall great energy and focus throughout their day. Brigitte began her quest into integrative nutrition and holistic health in 1978 learning how to cook macrobiotic foods, an alternative, organic eating lifestyle. 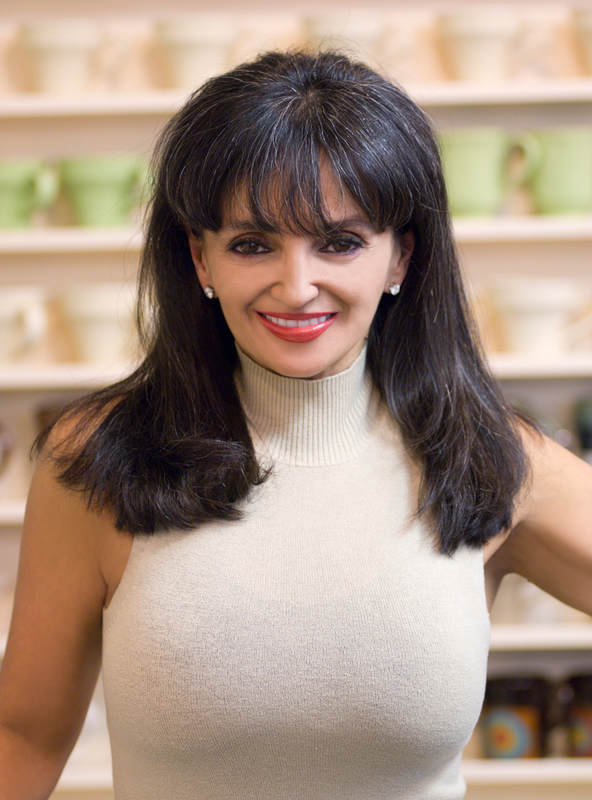 Brigitte is a Certified Holistic Nutritionist, Alchemist, Organic Chef and Author of over 7 books. She is unquestionably following her dream; using her time and boundless energy to educate people that one’s body truly is one’s temple and needs to be respected and nurtured. As Brigitte says, “Honor your health, respect your body, to transform your life. Simply the finest raw Certified ORGANIC ingredients! Hemp Seeds are a gift of nature. They are the most nutritious seed in the world. Hemp Seeds are a complete protein. They have the most concentrated balance of proteins, essential fats, vitamins and enzymes combined with a relative absence of sugar, starches and saturated fats. 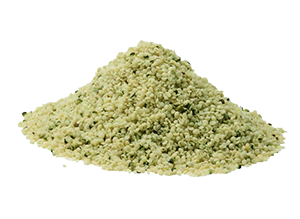 Hemp Seeds are one of nature’s perfect foods – a true Super Food. 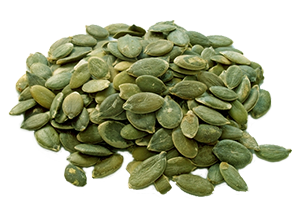 Pumpkin seeds have long been valued as a source of the mineral zinc. Raw and unshelled pumpkin seeds contain about 20 milligrams of zinc per 3.5 ounces, pumpkin seeds are a rich source of vitamin E and Omega fatty acids. A great alternative Vegan protein. In Pre­lim­i­nary lab and an­i­mal stud­ies they have found that it may have anti-bac­te­r­ial and anti-fun­gal prop­er­ties. It’s ac­tive against Can­dida al­bi­cans, the fun­gus that causes yeast in­fec­tions and thrush, and He­li­cobac­ter py­lori, the bac­te­ria re­spon­si­ble for stom­ach ul­cers. It has an anti-clot­ting ef­fect on the blood. Sev­eral stud­ies sug­gest that it may have a reg­u­la­tory ef­fect on blood sugar, mak­ing it es­pe­cially ben­e­fi­cial for peo­ple with Type 2 di­a­betes. When added to food, it in­hibits bac­te­r­ial growth and food spoilage mak­ing it a nat­ural food preser­v­a­tive. 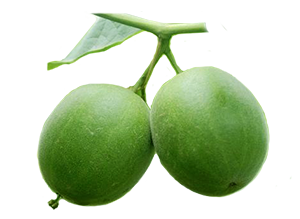 Cin­na­mon is also a great source of man­ganese, fiber, iron, and cal­cium and is ex­tremely high in ORAC 375,000 per 100G. The first highest being Cloves. 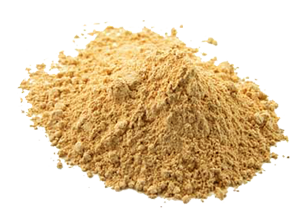 Red Maca phytochemical analyses showed to have greater amounts of the compounds responsible for antioxidant and anti-tumor activity than other types of Maca. 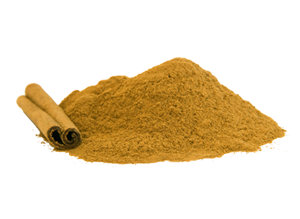 Red Maca is high in Minerals like calcium, magnesium, and iron as well as vitamin B1, B2, B6, B12, C, and E. Every one of these nutritional values are very important aspects of our body’s functionality. 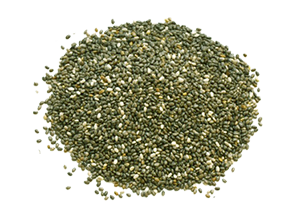 Organic Sunflower Seeds Hulled supply a good source of vitamin E, magnesium and selenium. 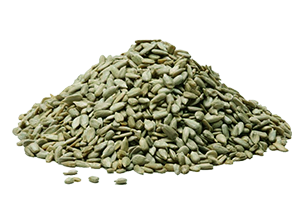 Sunflower seeds are an excellent source of vitamin E, the body’s primary fat-soluble antioxidant. Vitamin E travels throughout the body neutralizing free radicals that would otherwise damage fat-containing structures and molecules, such as cell membranes, brain cells, and cholesterol. In addition, vitamin E and the Omega Fatty Acids play an important role in the prevention of cardiovascular disease. Act­ing as a strong an­tiox­i­dant and well known for its pow­er­ful anti-in­flam­ma­tory prop­er­ties. It sup­ports a healthy di­ges­tive sys­tem, brain func­tion, car­dio­vas­cu­lar/circulatory sys­tems and joint health. It is one of na­ture’s most pow­er­ful heal­ers. 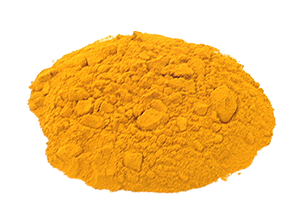 The ac­tive in­gre­di­ent in it is cur­cumin. Long known for its anti-in­flam­ma­tory prop­er­ties, re­cent re­search has re­vealed that it is a nat­ural won­der, prov­ing ben­e­fi­cial for many dif­fer­ent health con­di­tions. Among some of the most in­ter­est­ing health ben­e­fits and their re­cent sci­en­tific find­ings: Alzheimer’s and De­men­tia Pre­ven­tion: The 2003 study in Italy as pub­lished in the Ital­ian Jour­nal of Bio­chem­istry showed that Or­ganic Turmeric Root Pow­der pro­tects against Alzheimer’s dis­ease by ‘ac­ti­vat­ing’ a gene that codes for the pro­duc­tion of the an­tiox­i­dant pro­tein biliru­bin, which pro­tects the brain against in­jury from free rad­i­cals which are thought to be a re­spon­si­ble for neu­rode­gen­er­a­tive dis­eases in­clud­ing Alzheimer’s and De­men­tia. A natural sweetener made from the Mangosteen fruit con­sid­ered safe for di­a­bet­ics, hypoglycemic’s and chil­dren. By iso­lat­ing the sweet com­pounds one can ob­tain ex­tracts that are up to 250 to 300 times sweeter than nat­ural sugar. 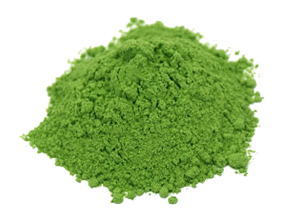 The Mon­gro­sides in Organic Luo han guo are under in­ves­ti­ga­tion as po­ten­tial tumor in­hibitors. It has An­tiox­i­dant prop­er­ties. May help man­age di­a­betes be­cause of their in­hibitory ef­fects on blood sugar lev­els. May de­fend against heart dis­ease. Re­lieve throat in­flam­ma­tion or cough. Cool heat stroke. Help elim­i­na­tion in the el­derly. Re­lieve di­ges­tive dis­tress. 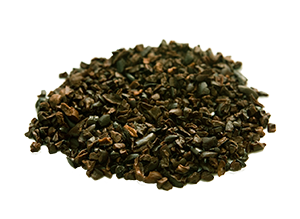 Raw Cacao Nibs have been used for centuries to boost energy and enhance mood. With over 300 identifiable chemical compounds, cacao remains one of the most complex and pleasurable foods on the planet. In its raw form, cacao contains anandamide (a euphoric substance), arginine (a natural aphrodisiac), and tryptophan (a natural anti-depressant). By raising the neurotransmitters in our brain, cacao promotes an overall feeling of well being. In essence, raw chocolate makes you happy! may show re­mark­able promise for in­creas­ing brain func­tion. It has been used in India for peo­ple with men­tal deficits in geri­atric pa­tients, in­clud­ing am­ne­sia and Alzheimer’s. Re­searchers have found that it can in­crease acetyl­choline re­cep­tor ac­tiv­ity. In­creased acetyl­choline re­cep­tor ca­pac­ity might partly ex­plain the cog­ni­tion-en­hanc­ing and mem­ory. Ac­cord­ing to sci­en­tists, it most likely af­fects mul­ti­ple body sys­tems to pro­mote emo­tional well-be­ing, men­tal sharp­ness and phys­i­cal en­durance. It is a pow­er­ful detox­i­fier of the liver, blood, and gas­troin­testi­nal tract while chem­i­cally neu­tral­iz­ing tox­ins. The en­zymes and amino acids found in wheat­grass can help pro­tect the body from free rad­i­cals and car­cino­gens. It also stim­u­lates me­tab­o­lism and the body’s en­zyme sys­tems by en­rich­ing the blood and in­creas­ing red blood-cell count. Ex­tremely high in Omega 3 fatty acids and are loaded with an­tiox­i­dants, vi­t­a­mins, min­er­als and sol­u­ble fiber. One ounce of Black Chia Seeds pro­vides 11 grams of fiber. This amount also in­cludes cal­cium, phos­pho­rous, mag­ne­sium, man­ganese, cop­per, niacin, zinc and the proper ratio of Omega 3 fatty acids. 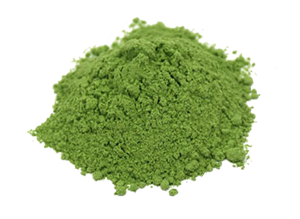 They are a rich source of an­tiox­i­dants con­tain­ing chloro­genic acid, caf­feic acid, myricetin, quercetin and kaempferol flavonoids. 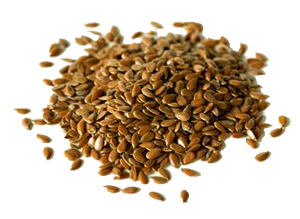 Flax seeds are rich in alpha linolenic acid (ALA), an omega-3 fat that is a pre­cur­sor to the form of omega-3 found in fish oils called eicos­apen­taenoic acid or EPA. Since the fats are found in their iso­lated form in flaxseed oil, it is a more con­cen­trated source of ALA than the seeds them­selves (al­though it doesn’t have the other nu­tri­ents that the seeds do). ALA, in ad­di­tion to pro­vid­ing sev­eral ben­e­fi­cial ef­fects of its own, can be con­verted in the body to EPA, thus pro­vid­ing EPA’s ben­e­fi­cial ef­fects. 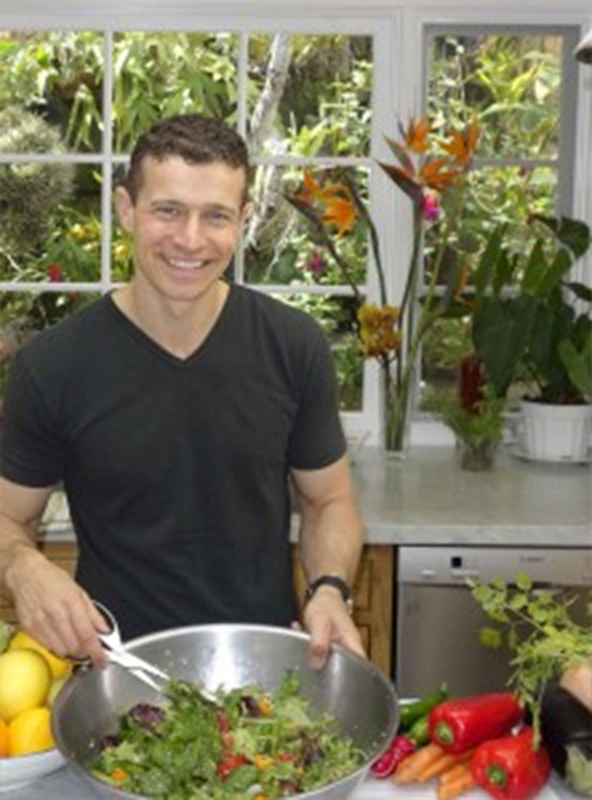 Has been called the world’s most pow­er­ful anti-ag­ing food. 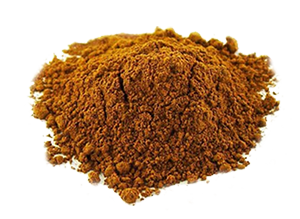 It is one of the high­est rated foods on the ORAC scale (Oxy­gen Rad­i­cal Ab­sorbance Ca­pac­ity) only ri­valed by cloves, cinnamon, cacao and the acai berry. 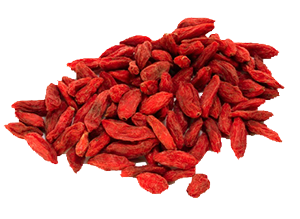 Goji Berries con­tain 18 amino acids; in­clud­ing the 8 es­sen­tial ones. They are a su­perb source of vi­t­a­min A and offer more beta carotene than car­rots, a rich source of vi­t­a­min C; hav­ing 500 times more vi­t­a­min C per ounce than or­anges. They also have 21 trace min­er­als, vi­t­a­mins B1, B2, B6, and vi­t­a­min E.
The leaves of this amaz­ing plant con­tain 8 amino acids as well as cal­cium, mag­ne­sium, potas­sium, sodium, phos­pho­rous, iron sul­fides, choline and beta-carotene. It is said to be an ex­cel­lent source of vi­t­a­mins A, B, D, C, E and K as well as zinc and cal­cium. It is rich in saponins, phy­toe­stro­gen and an­tiox­i­dants and is known as “The Fa­ther of all Foods”. 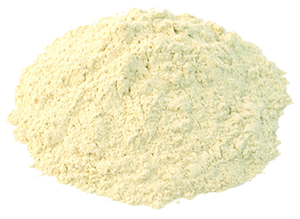 Pumpkin Seed Protein Powder has long been valued as a source of the mineral zinc. Raw and unshelled pumpkin seed Protein Powder contains about 20 milligrams of zinc per 3.5 ounces, pumpkin seeds are a rich source of vitamin E and Omega fatty acids. A great alternative Vegan protein.